It’s a wrap – HiRUM in 2017! Well, what a busy year it has been. A year full of innovation and excitement as we brought all the hard work our development team has done over the last couple of years to you, our valued clients, in the form of HiRUM Anywhere. HiRUM Anywhere is designed to give you all the information you need to manage your business at your fingertips. Affording you the freedom to get out from behind your desk and work from where you would rather be, without missing out on business. Work from your desktop, your mobile or your tablet, it’s now your choice! It was a pleasure to see most of you at the launch of HiRUM Anywhere, with our roadshows making it as far North as Cairns and as far south as Port Macquarie. From the positive feedback we received, we know you are all excited about HiRUM Anywhere and how it can take your business to the next level. This year we also partnered with several industry leaders, including LifeStyle Panels and TrustYou, among others, providing you with the best opportunity to make additional revenue and optimise your product offerings. Our Marketing Reach program also helped many of you increase your visibility online and in Google Search results, as well as improving engagement with your customers, increasing your direct bookings. So what’s in store for the new year? We have another big year planned for you in 2018. This year you can expect to see a range of powerful additional mobile solutions, complementing our Anywhere range of apps. As the feedback from our current Anywhere clients flows through, we are able to continually enhance this offering to ensure all facets of your business are covered with mobile technology. In addition to these innovations we have a host of new connections in the pipeline, including connections to Airbnb and HomeAway. Our marketing solutions are increasing, with some exciting auto remarketing tools in the pipeline too, enabling your booking form to capture even more direct bookings. Whilst it has been a big year, we are even more excited for 2018, and what we plan to bring to you. Making your life within property management just a little easier and more profitable. 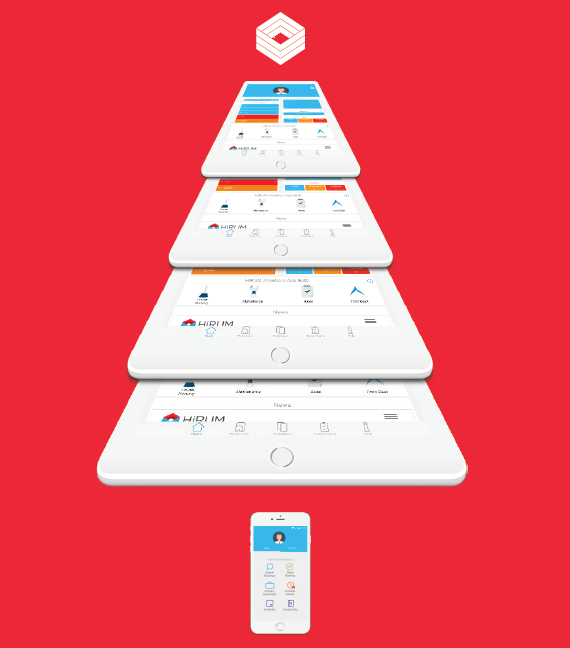 In saying this, we hope you enjoy your Christmas break, and that you can squirrel away a little time to relax; with your mobile HiRUM Anywhere app on hand, of course. We look forward to seeing you in the new year and wish you and your business much success in 2018!